A happy group of folks from Stow, past and present, gathered in New Orleans LA last month to celebrate the marriage of Holly Anne (Ruggerio) and Josh Palmer. Congratulations to the happy couple! Pictured are: (Rear L-R) Gary and Suzanne McGuane, Starr Maxwell, Maureen Barilla, Lauren Maxwell & Casey Ruggerio. (Front L-R) Mother of Bride, Kathleen Devlin, Holly Anne & Josh Palmer, Ronnie Cristiano and Terri Davis. 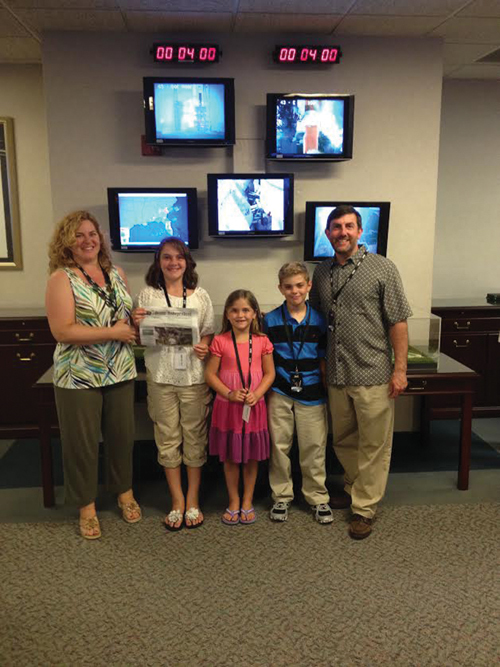 The Smith Family (Jill, Jacki, Tessa, Spencer, and Gary) at the United Launch Alliance flight center at Cape Canaveral, FL. The rocket on the monitors was launching a satellite that Gary worked on. 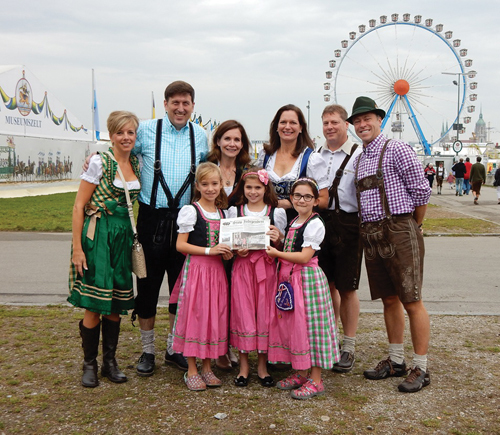 The Dugas and Reiner families joined the Gorman family, formerly of Stow, in Munich, Germany for the city’s annual Oktoberfest celebration. The girls enjoyed the rides, while the adults enjoyed plenty of beer and Bavarian food! The 16-day festival attracts more than 6 million visitors from around the world.